AR – Dubuque Senior High School (Dubuque, IA) – Home of the Rams! 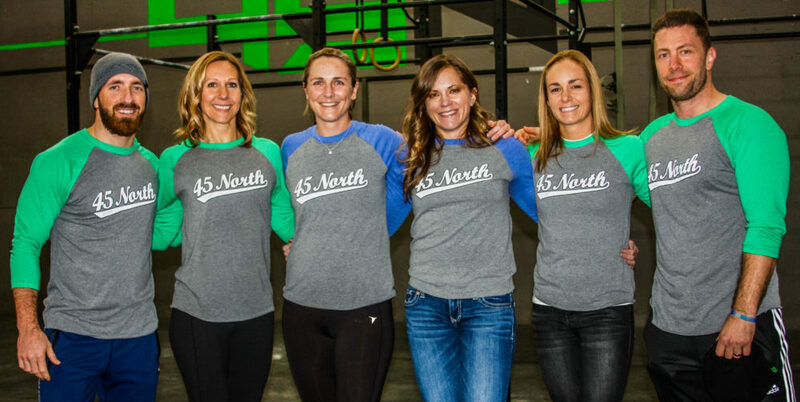 How long have you been a part of a CrossFit community? LH – In general the community and like-mindedness it has generated locally and globally. Personally, the challenge and pursuit of always trying to be a better human physically and mentally. JR – I CrossFit for my health, for fun and to amaze myself at what we are capable of as humans. GC – Because I coach – this gives me a chance to lead by example. Also – I’ve been an athlete my whole life, I know that age is just a number and its absolutely imperative to move your body! AR – The variety is what keeps me coming back, the difficulty is what makes it easy for me to make excuses. I am working on less excuses! AR – The United States have so many amazing places to go, I want to see them all! JR – I have two kids, Charlie 9 and Valerie 12. As well as an amazing partner, Justin. Also a dog and a cat. AR – My partner in life, Sara, and two little kitties, Ryane and Cooper, live in PDX with me. My mom – Cindy, dad – Ken, older brother – Luke and his wife Sara have my two nieces Melanie (10) and Marissa (8), and younger brother – Nate and his wife Karen have my niece Everly (5), my nephew Maxwell (3) along with a new little baby to arrive in September!! They all live in Dubuque, IA. 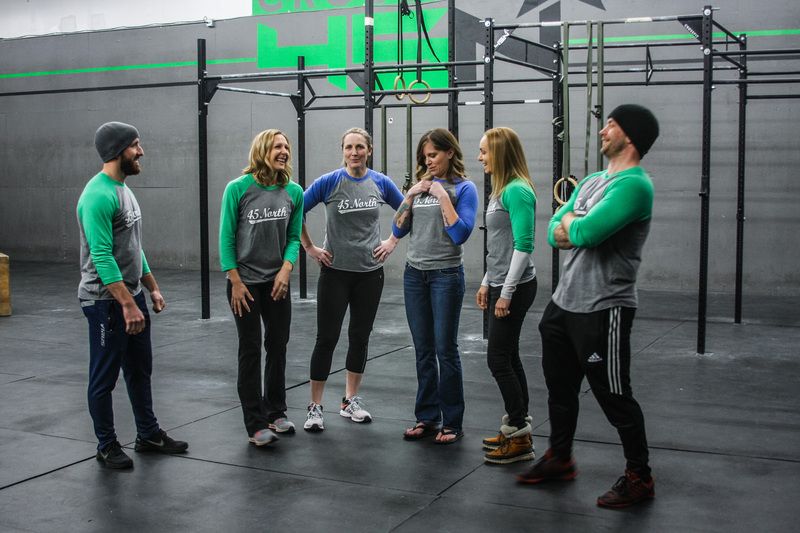 LH – Fab Program Manager at Intel, CrossFit coach and owner. JR – I’m a CF coach and owner and hairstylist and salon owner. CR – Personal Trainer and CF coach. GC – Graphic Artist, CrossFit Coach, Painter/Illustrator. JK – Logistics for Micro Systems Engineering Inc.
AR – Nurse at OHSU 🙂 and Owner of the best CrossFit Gym in all the land! AR – anything…but I try to keep a handle on eating somewhat decent! JR – Queso! Cheat meal! Haha! JR – Rap and/or country. Do you drink a gallon of fluids a day? JR – I do drink a gallon of water a day, at least. Makes for lots of bathroom trips! AR – Most days I do not, but I try really hard…just not hard enough I guess. LH – Time after time when the community small and large band together to do great things – whether it is support the last person finishing, cheering for someone that just missed a lift or raises money to replace an entire gyms equipment after a hurricane demolished their box. JR – Watching my friend Cindy wod while I coached shortly after her diagnosis of lung cancer. I loved that she fought and that nothing was going to stop her from doing what she loved. GC – The day I PR’d my Clean and Jerk at a competition with my good friend John Oh. I hit this PR with 2 seconds left on the clock with my coaches, fellow athletes from my box and my dad there. Plus, I just started chemo/radiation 5 days prior. Otherwise – anytime, ANYTIME, an athlete at my box hits a PR or hits a first time movement – it is absolute joy to watch someone succeed. AR – All of the Spring Showdowns we put on, they were all really cool for different reasons and it was great to bring our bigger CrossFit community together in our very own box! AR – Some sort of bird who can fly all over the place and migrate every year to a new place! LH – Sit on my back patio on a warm evening tossing the ball time after time for Hudson. JR – In the summertime, paddle board with my fam and friends. In the winter, game nights and movies with my family. GC – Relax? Your kidding, right? AR – After a busy day, I like to put my feet up and watch some mindless television or just sit in the quiet. If its just to relax, go do some activity outside. 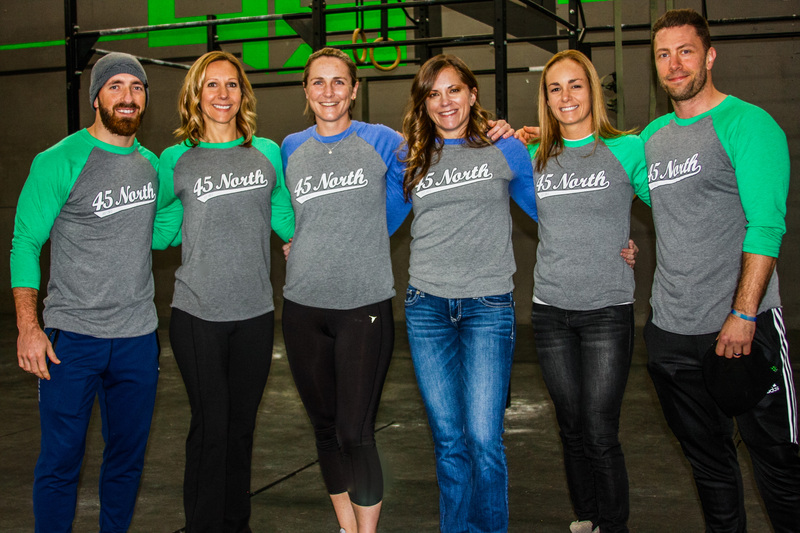 JR – I love CrossFit and our community. I could not imagine my life without all of the people CrossFit has brought into my life. Some of my best friends and people that I would be a fraction of the person I am without them. GC – (1) I played soccer for 25 years, coached for a couple of years and absolutely love the game…I don’t care who is playing…but prefer my favorite team: Manchester United. (2) Two- time cancer survivor (3) I have had some 13 surgeries over the course of my life including an ACL replacement, life saving Brain surgery and two cancer surgeries. (4) I was told after cancer that I’d never be able to have kids. I have one of the most amazing human beings I’ve ever known, my son Kai…my little miracle man.